In recent years Pumping Systems have become more complex than ever before. As a result of this complexity, Design Engineers must resort to detailed water hammer and pressure surge analysis to insure the system will not be damaged, due to negative or positive pressure surges. Water Hammer, caused by sudden changes in flow, usually the starting and stopping pumps, but sometimes the opening or closing of a valve. One method, most often used by Engineers to prevent damage to the system, is to spill the media from the system, thereby, dissipating the pressure surges. 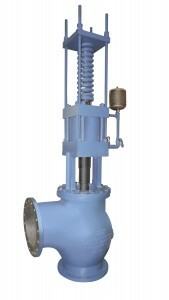 Typically, for this application, APCO can provide two (2) spilling type Surge Relief Valves, Models 3000 and 6500, and the engineering expertise to insure their proper application. Surge problems should be analyzed from their point of origin, because at this point, they are easiest to control.